Building wealth is hard. Keeping and increasing that wealth is even harder. It requires deployment of smart strategies and risk-taking. The five people below have apparently found the recipe for building wealth. What is more, they have managed to overcome the challenges of being born into poverty and to create something better for themselves and for many others. These five remarkable businessmen currently top Forbes’ richest gambling representatives list. And while they are involved in different sectors of the global gambling industry, it can be said that they have quite a lot in common. They have found what it comes down to to become a wealthy gambling boss, have come up with concepts all unique for the industry, and have spotted the right niche to eventually create and grow successful gambling enterprises. Here is how they have achieved what they have achieved. The stories of self-made billionaires who managed to take themselves from the streets to the top of world’s richest people lists are countless. And Sheldon Adelson, the founder of one of the world’s largest casino companies (if not the largest) has one such rags-to-riches story. Mr. Adelson was born in 1933 in one of Boston’s poorer neighborhoods. He sold newspapers in his teenage years and later on entered The City College of New York, where he commenced his corporate finance studies. He left two years later, never finishing his degree. Little did the college dropout know that he would happen to become one of the rulers of the casino world. 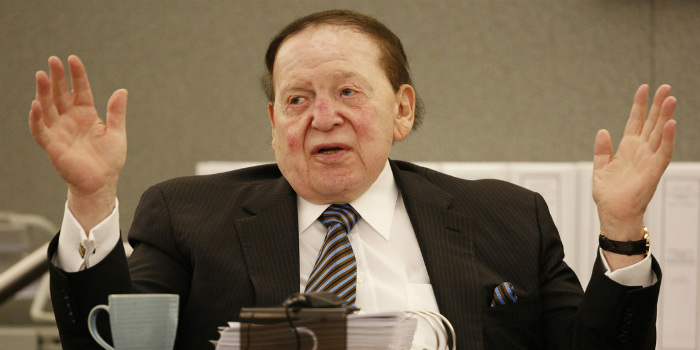 Mr. Adelson was engaged in different business endeavors in the 1960s. In the early 1970s, he started a dedicated show for the computer industry, interest in which was growing quite rapidly at the time. The first edition of the show was held in 1973 and saw modest success. However, Mr. Adelson felt that he was on the right path and sold a number of his other businesses to dedicate his attention to the computer show. The businessman’s work in the field eventually brought to life the Computer Dealers Expo (COMDEX) in the late 1970s. The event took place at MGM Grand Hotel in Las Vegas. It took less than a decade for it to become the largest computer-dedicated show in the world. 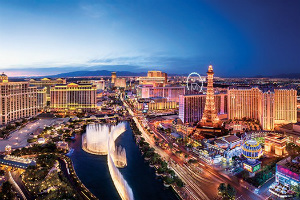 Adelson made his first foray into the casino world when he purchased the emblematic Sands Hotel and Casino, which had been known to be a favorite spot to stars like Frank Sinatra back in the 1950s. The property’s new owner redeveloped it into a multi-purpose complex that featured retail, dining, and entertainment facilities. In 1990, Mr. Adelson opened the Sands Expo and Convention across the street from the Sands Casino. The center was the second largest one in the world at the time. It can thus be said that the businessman was the founder of what is now known as the MICE integrated resorts model. Multiple integrated resorts with meeting and convention space have been built over the past 27 years, following the success of Mr. Adelson’s endeavors and changing the casino, tourism, and hospitality industries for good. The casino mogul further expanded his gambling and hospitality business in Las Vegas and later on in Macau and Singapore through Las Vegas Sands, the company he founded in 1998 gradually grew into the world’s largest casino operator. Its market cap stood at around $55 billion as of early December. Carl Icahn is yet another billionaire businessman who was raised in relative poverty, but had a bent for business that eventually rocketed his name to the very top part of the world’s richest list. Icahn was born in 1936 and grew up in the Far Rockaway neighborhood in Queens, New York. The neighborhood was and still is quite a poor one. His mother was a school teacher and his father was a lawyer and cantor at the neighborhood’s synagogue. Icahn himself said that he has always had a drive for success. The businessman was a gifted student and was very keen on going to college. His parents said that they would pay his tuition fees only if he was admitted in an Ivey League college. Icahn applied to Harvard, Princeton, and Yale and was accepted by all three. He eventually picked Princeton where he studied philosophy. 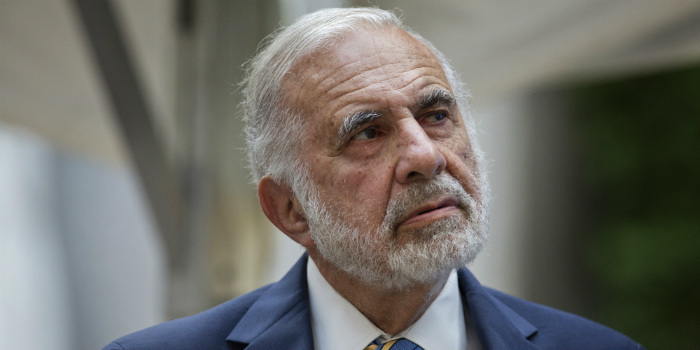 Icahn has said in interviews that his years at Princeton helped him succeed in his future business endeavors. The businessman is widely known as one of Wall Street’s most colorful representatives and one of the most aggressive investors out there. Sometimes brash and controversial, his business tactics have won him the reputation of a corporate raider. Icahn has been involved in different businesses over the years through his holding company Icahn Enterprises. The conglomerate has invested in real estate, auto parts, casinos, entertainment, and energy, among other things. In 1998, Icahn was given the green light by the Nevada Gaming Commission to operate the bankrupt Stratosphere Casino and Arizona Charlie’s casino, which was under Chapter 11 bankruptcy protection at the time. The businessman agreed to sell the two properties as well as the Boulder casino and Aquarius Casino Resort (both located in Nevada) and a portion of empty land in Las Vegas to Goldman Sachs’ Whitehall Street Real Estate Funds in 2007 for the total amount of $1.3 billion. The deal was completed at a profit of nearly $1 billion for Mr. Icahn. The purchase and the subsequent sale of the unfinished Fontainebleau casino resort on the Las Vegas Strip was yet another highly profitable move. Mr. Icahn bought the property in 2009 for $156 million. Here it is important to note that the complex was under Chapter 11 bankruptcy protection at the time. In 2015, the billionaire businessman listed Fontainebleau for sale at a price of $650 million. He sold the unfinished resort in August 2017 to investors New Valley LLC and Witkoff Group for the total amount of $600 million. Mr. Icahn’s casino interests also spread to New Jersey and more specifically to Atlantic City. In 2009, the state’s Casino Control Commission backed the investor’s bid to assume control over Tropicana Casino Resort. His proposal to buy the then struggling property emerged a year earlier at a bankruptcy auction. Back in 2009, Mr. Icahn was also battling now US President Donald Trump over the latter’s bankrupt Atlantic City casino resort business Trump Resorts Entertainment. The company was the owner of the now shuttered Trump Plaza, Trump Taj Mahal as well as of Trump Marina, which was bought by Tilman J. Fertitta’s Landry’s Inc. and now operates as Golden Nugget Atlantic City. Mr. Icahn eventually acquired Trump Resorts Entertainment in 2015. Trump Plaza had already been shuttered by that time, and Trump Taj Mahal barely escaped bankruptcy. The latter property closed doors in October 2016 after a prolonged workers’ strike, during which staff picketed the casino resort over contract dispute with its owner. Mr. Icahn actually blamed Trump Taj Mahal’s closure on the strike. He sold the shuttered casino this spring to Florida-based casino developer Hard Rock International. 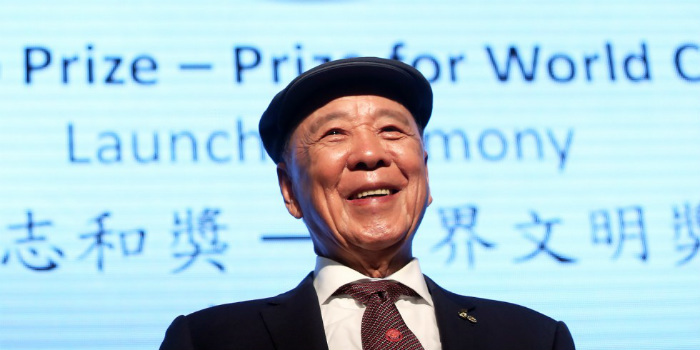 At the age of 88, Chinese businessman Lui Che Woo survived the atrocities of World War Two, grew up in extreme poverty, and used every lesson life served him to build his business empire. Mr. Lui is one of Asia’s wealthiest people and most successful entrepreneurs. He was born in Mainland China’s Guangdong province, but spent most of his childhood in Hong Kong. At the age of 13, he became his family’s breadwinner. This was when he gradually began entering the world of business. He sold peanuts for a while to support his five sisters and the rest of the family. Later on, Mr. Lui joined his uncle’s car parts company as a stock keeper. He founded his own car parts company after gaining experience at his uncle’s. He made his “first pot of gold” when he sold heavy machinery left behind in Japan after the Korean war to Hong Kong contractors. This helped him launch K. Wah Group in the 1950s. It later on became the parent company for his other businesses. Over the years, Mr. Lui expanded his operations across different fields including construction materials supply, real estate, hospitality, and casino gambling. He also extended his businesses’ footprint across Southeast Asia and the United States. He entered the hospitality industry in the 1970s when he purchased a waterfront site to build what would become Hong Kong’s first star-rated hotel. The businessman believed that he was onto something big and that demand for world-class hotels in the region would explode. And he turned quite right. In 2002, Mr. Lui founded Galaxy Entertainment Group, the company that later on became parent to his casino operations. The businessman decided to explore the world of gambling after the Chinese government had given the nod to the construction of casino venues in Macau. Galaxy Entertainment was selected as one of the six preferred bidders for the city’s gaming concessions. The company now operates its flagship property Galaxy Macau, an integrated resort with a gaming floor and multiple hotel, entertainment, dining, retail, and convention facilities, as well as several city casino clubs. It has recently emerged that Galaxy Entertainment has partnered a Philippine developer to build a $500-million integrated resort on the Boracay Island. The founder of international gambling company NOVOMATIC Group is yet another self-made billionaire. Mr. Graf was born in 1947 in Vienna, Austria. He was raised by his grandparents in a single-room apartment without running water. He apprenticed as a butcher at a young age and his family hoped that he would take over their butcher business. However, Mr. Graf had different plans for his life. Sensing a good opportunity, he began importing pinball machines to his home country through Belgium. He distributed the gaming devices across cafés, pubs, and other facilities around Austria. 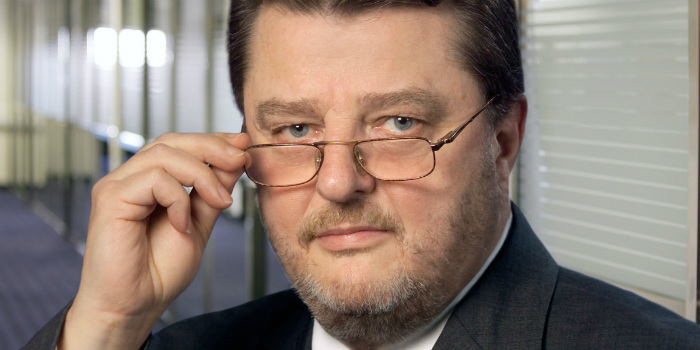 With the popularization of electronic gaming machines, Mr. Graf grabbed what he believed was yet another good opportunity to extend his business, and formed Novomatic Automatenhandels AG in 1980. The company saw a quick growth which allowed it to expand its geographic footprint to Switzerland and across the East Bloc. NOVOMATIC has grown into a company that annually generates billions of dollars in revenue, produces slot machines, electronic table games, video poker and video lottery products, and runs a chain of land-based casinos, with most of the venues operating under the Admiral brand. NOVOMATIC has offices in more than 40 countries and supplies its products across 80 countries. 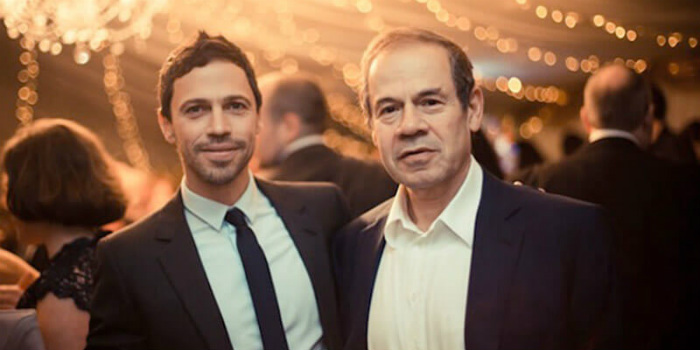 Mark Scheinberg and his father, Isai Scheinberg, are recognized as the founders of PokerStars, the world’s largest online poker room. Mr. Scheinberg was born in Israel in 1973, but moved to Canada with his family at the age of 13. He was admitted to Fanshawe College of Applied Arts and Technology in London, Ontario, but spent only a year there before dropping out and moving to Toronto. In Toronto, he started a job in hospitality and spent the next several years of his life traveling around South America and Asia. The Scheinbergs eventually entered the world of online gambling in September 2001, when they launched PokerStars. The website initially offered play-money games only. The real-money wagering options arrived in December 2001. Mark and his father, an experienced computer programmer, held a controlling stake in PokerStars’ parent company, Rational Enterprises. Although the online poker room was launched at a time when the Internet was still a bit of a weird place, its popularity among players grew exponentially within a very short period of time. It can be said that PokerStars was at the center of what has become known as the boom of online poker in the mid-2000s. In 2003, Chris Moneymaker won the WSOP Main Event after securing a seat into the world’s most prestigious No-Limit Hold’em tournament through a PokerStars online satellite. The next several years saw an explosion in demand for online poker, a trend that many dubbed the Moneymaker effect. In 2011, Isai Scheinberg was one of the people indicted by the US Department of Justice on five charges related to the provision of real-money online poker services to US players in the years following the implementation of the Unlawful Internet Gambling Enforcement Act of 2006. In 2014, the Scheinbergs sold their stake in PokerStars’ parent company, the Rational Group, to Canadian gambling company Amaya Inc. (now The Stars Group). The deal was at the time the largest one to have ever taken place within the online gambling space. With Canadian businessman David Baazov at the company’s helm, Amaya paid the amount of $4.9 billion for the online poker business. The sale actually made Mark Scheinberg one of the world’s youngest billionaires. The businessman reportedly cashed around $3.6 billion from the deal. He has been investing in different other fields since cashing out from the Rational Group. It has recently emerged that he is participating in a development project for the construction of a multi-purpose complex in Madrid. The post Wealthiest Gambling Bosses of 2017 – the Rags-to-Riches Stories of Five Remarkable Visionaries appeared first on Casino News Daily.